Why Senggarang is special ? Senggarang is the name of a small village on the island of Bintan, Indonesia, which houses the oldest temple in the Kepri region. Locals believe Senggarang was the first home for Chinese immigrants a long time ago, who then spread throughout the other island of Kepri. Senggarang is a tourist attraction place, it’s a pity to pass away while you are in Tanjung Pinang. This site is the settlement of ethnic Chinese who have been there for hundreds of years ago in Bintan. Until now, the people are friendly and still adhere to their ancestors as well as custom homes in the mediator or on the water, being offered by the unique characteristics of this object. Tanjung pinang and Senggarang is opposite. Actually Senggarang Island is very convenient place to find peace or a away from city life. But, indeed most people who come from Singapore to here for pray because a lot of the temple here. Senggarang is the central of temple in Bintan Islands. It is certainly very related to the presence of ethnic Chinese in this island existing almost simultaneously with the development community in senggarang. In Senggarang there are many temples that have the uniqueness of each. What to explore at Senggarang? 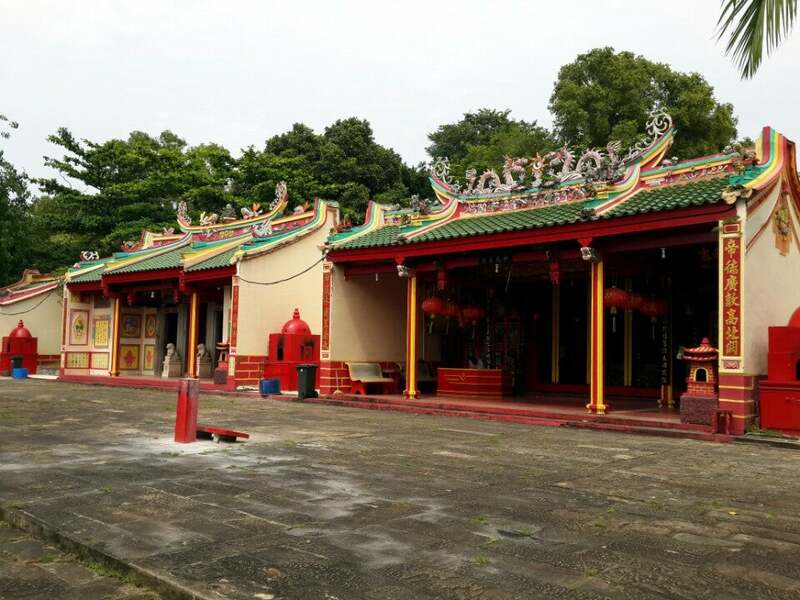 There is an interesting temple complex including Chinese and Hindu worshipping places. This includes a 40-armed statue and several animal deities. 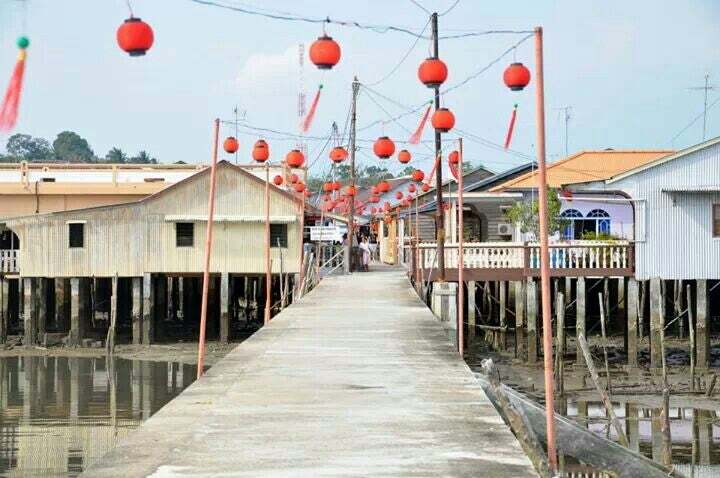 From the temple, walk to a stilt house village, ideal for a quite escape from Tanjung Pinang. There are boats going from Tanjung Pinang piers to Senggarang and to the Chinese village frequently, and you need to bargain for price (1$). Get there at the end of the day, just before the sunset. Enjoy the quite walk on stilts, and eat in one of the local restaurants. At there, you should visit the temples such as: Sun Te Kong Temple, Marco Temple, Tay Ti kong Temple, Banyan Tree Temple and so on. How to get to Senggarang? Getting to Tanjung Pinang from Singapore: 3 companies operate ferries between Singapore’s Tanah Merah Ferry Terminal and Tanjung Pinang. Together, they operate 6 ferries on weekdays, increasing to 9 during weekends and public holidays. Tickets cost around S$46/36 return/one way (excluding Indonesia port tax). The various ferries from Singapore take around 2 hours to get to Tanjung Pinang. When you arrive you should confirm your return at the ferry company offices ASAP as the ferries can get full. Be careful, you need a visa to go to Indonesia (easy to get it at the customs, but please before leaving ask to the ferry companies if you can get a visa). Getting to Tanjung Pinang from Bintan Resort (Bintan’s Bandar Bentan Telani Ferry Terminal). Many companies operates ferries from Singapore’s Tanah Merah Ferry Terminal to Bintan resorts. When you are at Bintan resort ferry terminal, get a taxi to Tanjung Pinang (20$). There are many sea food restaurant at Tanjung Pinang, on the north side of the city, close to the jetty for boats to Senggarang. You should bring your camera to caught the fascinating sightseeing of this place. You should go in the morning, you can see the sunrise. You should bring sunblock, sun glass, hat and repellent to save your health. You should bring plenty of cash in case there is no ATM in this place.